Chicken Tikka Inn in the area of Jumierah, Dubai is one of the premium and oldest BBQ grill restaurant chain in the United Arab Emirates, as it was founded way back in 1972. This restaurant is considered first-rate, when it comes to producing finest grill in the city, as they delicately use in-house spices to marinate BBQ meat without adding artificial ingredients to it. With these spices Chicken Tikka Inn developed a unique flavour that is simply unparallel. This unique quality of Chicken Tikka Inn enabled them to develop a decent base of clients, who can come to this venue and relish the traditional dishes of India in their stylishly decorated dining hall or outdoor seating area. Moreover, these guests can also take pleasure in smoking, as it is allowed at this eatery. Chicken Tikka Inn restaurants claim to have the best grill varieties in the town, as they have developed a luscious and diverse taste in Indian culinary that is hard to match by other restaurants in Dubai. The secret of this success are their very own in-house spices with which they marinate chicken and meat. The popular dishes of this bistro are chicken tikka, fish tikka, succulent chicken & mutton seekh kebabs, behari kebabs, malai botis, achari handi and chicken tikka masala. Chicken Tikka Inn is also fully equipped and prepared to provide outdoor catering services to the people of Dubai. They have best furniture, cutlery, crockery, glassware, quality linens and most important of all well trained staff to take care of the matters. Takeaway and delivery services are also offered at this eatery, so folks who cannot get to Chicken Tikka Inn savour its delectable bbq and other varieties at their own place. 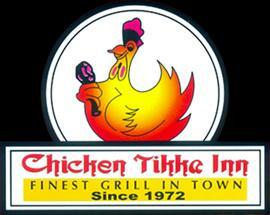 The menu of Chicken Tikka Inn is quite extensive and to see all the dishes, click here! The activities at this outlet on weekdays last till 1:30 am, whereas on weekends its operations comes to end at 3:00 am. Opp. Spinneys & Jumeirah Centre- Dubai - United Arab Emirates. The best way to reach Chicken Tikka Inn in the area of Jumeirah, Dubai is either by bus or car, as no metro station is situated within 2.5 kilometre circle of this eating place. 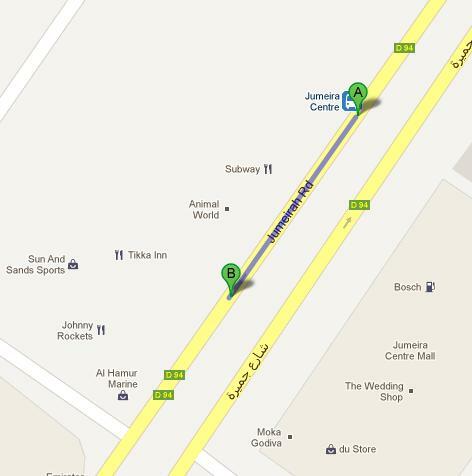 Jumeira Centre – Dubai bus stop is hardly 60 metres away from Chicken Tikka Inn and on foot this gap can be covered in roughly 44 seconds, if a person head southwest on Jumeirah Road/D 94. As far as the bus numbers, which serve this bus stop are concerned, people can use 8 or C10 buses to reach this bus station. Follow map for directions.